Sleep is one of my favourite things. If it isn’t one of yours, then quite frankly what is wrong with you? I LOVE it! So, anybody with the key to helping me have a better nights sleep, or someone with some top tips for getting more, is a saint in my eyes. Any parent with kids will know that it is a much talk about subject. It either goes one way or another… You either get it or you don’t! Alfie’s sleeping patterns vary massively. We either get a good night or a bad night. There doesn’t seem to be an in between. However, when he has a good night we typically have a good night too. There are lots of things you can get to help a toddler go to bed at night, and, most importantly, stay in bed at night! Sleeping bags and clocks that tell them to stay in bed are two that I think every parent should try. Black out blinds or curtains are definitely going to help in the summer nights too. 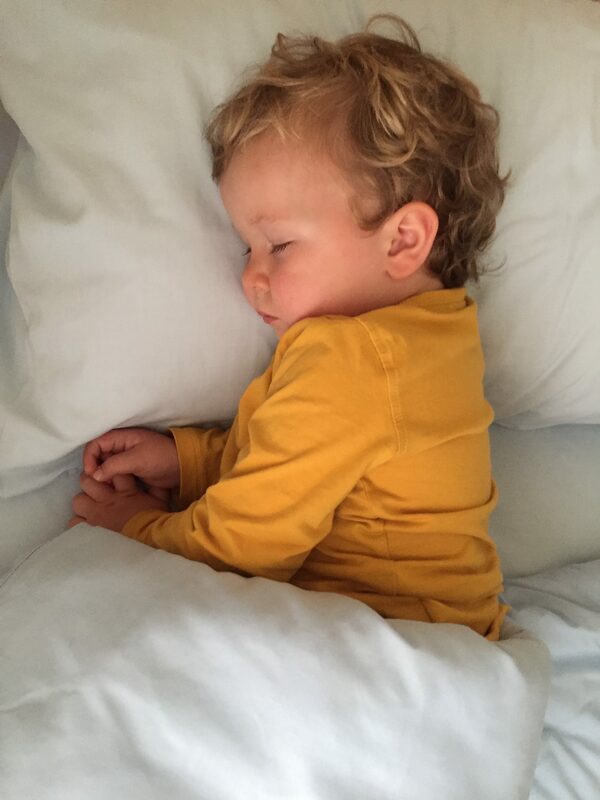 What tips have you got for a good nights sleep with a toddler? Kill your husband if he wakes you up snoring! NEVER wake a sleeping baby!!!! I watched this Adjustamatic video recently and it really made me question the way I sleep. How many pillows do you sleep with? I sleep with 2 like it suggests in the video. But that’s the only thing I do right when it comes to how they suggest they sleep. I’d never thought about positioning and what it does to your body, whilst you sleep, before now. Are you a #SleepExpert? Do you do what they suggest in the video? I could definitely do with taking on some tips for a better nights sleep that’s for sure. It may even help cut down on my caffeine intake! Definitely NEVER WAKE A SLEEPING BABY! Also got a new mattress when we moved house, has changed our lives! 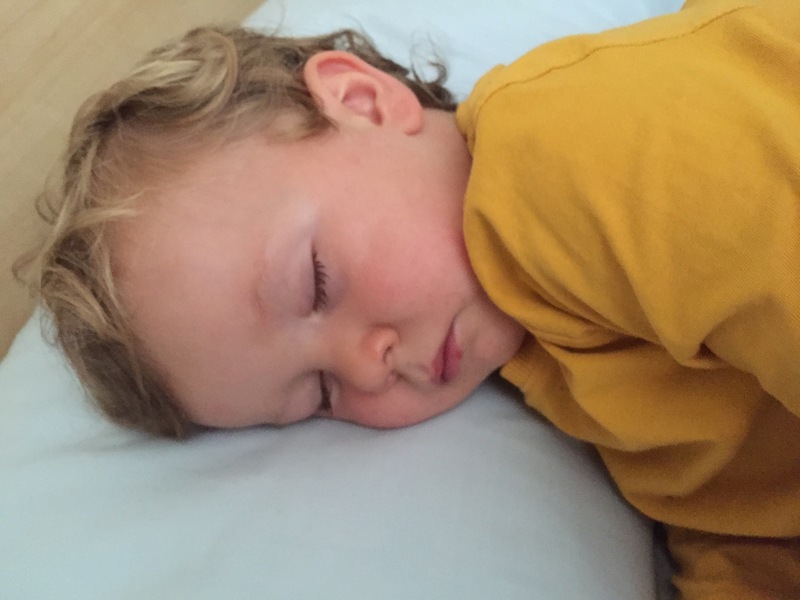 Have you considered Cranial osteopath, it can be very useful to calm children and help them sleep better , especially if they have had a traumatic birth . I always appreciate how good our mattress is after we’ve been away for a weekend! Some great tips, I love the one about killing your husband! I do not have to worry about that, its my little toddler that snores from time to time lol! Yes! Loving the kill your husband one, John ALWAYS wakes me snoring!! Oh man what a great post. My alarm clock is my *nearly* three year old, its really doing me in haha! Lately he’s been struggling with pooping so sleep has been a little restless & very early rising. I should really try & get to bed haha! Thanks for sharing these tips, you´ve got some good ones here! I can´t fall asleep if I´m hungry. It´s kind of dilemma because I know I shouldn´t sleep immediately after eating as well. So often when I canät fall asleep I just go and eat something and then when I try to go to sleep again I succeed.